But who would disagree with this? The title, set in red type on a heavy raw board cover, graphically suggests a more radical approach than the one attempted over the 160 pages of the book. The implicit reference to acts of civil disobedience enacted by conscientious objectors, combined with the claim that designers ‘create the envy and the desire that fuels the economy and the cynicism that underlies our postmodern condition’, seeks to establish ethical and conceptual credentials that it fails to fulfil. The book, intended as ‘a process book dedicated to ethical graphic design’, merely presents literal paraphrases of designers’ statements and positions in the static format of a catalogue. The text starts promisingly by confronting us with a provocative paradox: ‘Design is everywhere, yet despite its ubiquity, there appears to be surprisingly little of the world inside most of the design being done’. Yet throughout the text, the reader is construed as a gleaner of factual information rather than the recipient of sophisticated thoughts and propositions. In spite of the stated intention of the authors to depart from the commercial agenda of mainstream graphic design, and present ‘examples of what can be done using ethical principles within the creative process’, the level of discussion remains disappointingly basic in the three preliminary sections that attempt to raise issues thematically, exhorting readers to engage in ‘socially responsible design practices’. ‘Past Principles: A history of Good, Ethical Graphic Design’, casually and informally presents a few examples of personal relevance, but at a low conceptual level, as if not to tax its readers. There is not a lot to disagree with in ‘Issues of Ethical Design in Contemporary Practice’ nor in ‘Ethical Considerations for your Design Practice’, except to regret the low level of intellectual engagement with the issues and with the works. This is clearly design writing ‘from the outside’; that is, writing that focuses on principles and statements of intent, but avoids the ways specific designs, or parts of designs, work. The largest section presents ten case studies in a coherent format; introducing context, design strategies, action / interventions and feedback. 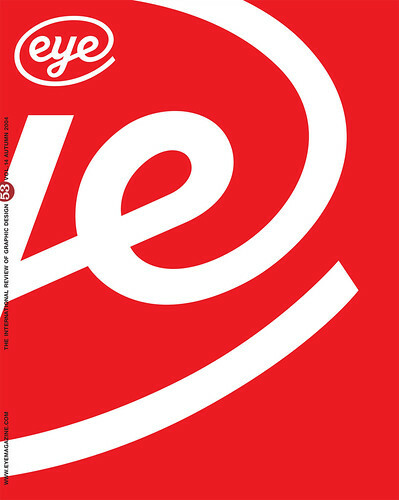 The projects are varied and range from an online art resource for the visually impaired (Caro Howell and Dan Porter), a campaign for health promotion through regular exercise (Ellie Ridsdale), a birth control project in Bangladesh (Studio Dumbar), to the rebranding of Ecover (S-W-H and Eat). The design, by HDR, is clear and makes the information easily accessible. However, the nature of the material supplied dictated the catalogue format adopted, in which the function of body text, illustrations and captions is essentially to present factual information. The spread on page 122-23 is the closest the book comes to visually illustrating the creative process, instead of containing it within static frames, but this was greatly helped by the variety of the visual material supplied by Sphere magazine. The captions, however, are lacking in substance, and this limits the scope of the design. The lack of intellectual sophistication with which the issues are presented means that readers are rewarded with little more than a discourse of proselytism – ‘design evangelism’ rather than criticism. This is both a conceptual and an ethical failing, if we consider that one of graphic design’s chief responsibilities could be to make propositions that help us engage with the world, confront our responsibilities and, in the process, situate ourselves in the wider ‘order of things’. To students and designers, the book may be inspirational by showcasing examples of ‘ethical design’. But readers will look in vain for insights about how a design, or a graphic element within a design works at micro level; for this is not a book about process in graphic design, but about intentions.